One of the exciting races in Formula One calendar is the Monaco Grand Prix. Located in the French Riviera, the race held in Monte-Carlo attracts crowd from all around the world. The famous Casino, along with the yacht parties which go on till the wee hours of morning are just some of the attractions that makes this race very exciting and a royal affair. I had an opportunity to visit this place this summer and one of the first things that hit me as a Formula One buff is the pleasure to visit one of your favourite circuits, which is in fact built around the existing public roads of Monaco. Although, I missed the race by a good two months, it was a kick to make a lap around the circuit. The drive to Monaco from the Nice-Cannes highway reminded me of yet another favourite of mine, movies. 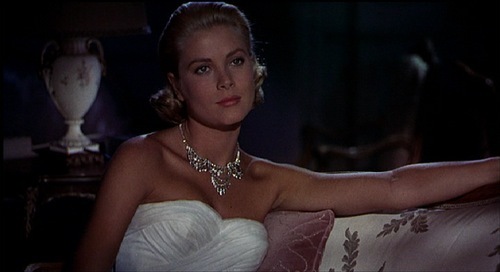 One movie that instantly came to my mind was Alfred Hitchcock’s 1955 thriller ‘To Catch a Thief’. The story goes this way; John Robie played by Cary Grant is a retired jewel thief who was famous for his cat burglary which earned him the name ‘The Cat’. After having served as an undercover for the French Government during the World War II, John Robie is a happy, relaxed leading a peaceful life in his vineyards along the French Riviera. This was until one day, he reads about a series of burglary committed and police suspects him to be the one, as the jewel thefts were reminiscent of John Robie in his hey days. 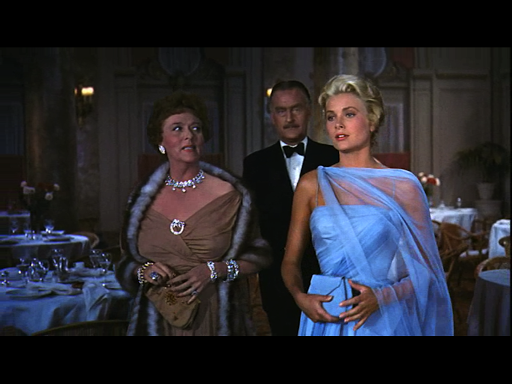 High on the list is an American Millionaire, Jessie Stevens (Jessie Royce Landis) who along with her beautiful daughter Frances Stevens (Grace Kelly) is on a tour of Europe to search a suitable husband for Frances. To prove his innocence, John must become a jewel thief and he takes the help of Frances and the insurance agent of Lloyds, Mr. H.H. Hughson to catch the thief, the real thief who had committed a series of thefts in a typical John Robie manner. During the course of the movie there is a famous car scene (Car scene is an important part of all the four collaborations of Hitchcock and Cary Grant) where Grace Kelly (incidentally, on the very same road that, years later, would lead to her death) drives Grant down the famous and winding Three Corniches along the Cote d’Azur. 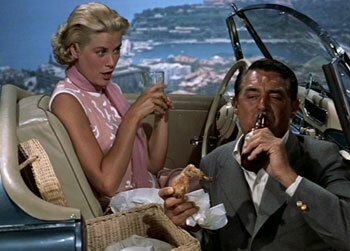 They are on their way to the picnic grounds which is the backdrop of the most famous scene of this movie- Grace Kelly offers him a choice of breast or thigh from her basket of goodies and he in his own charismatic style responds “The choice is yours”. In the end, John Robie manages to catch the copy cat who turns out to be a young girl (Danielle) played by Brigitte Auber, daughter of one of his former colleagues. This movie opened with mixed reviews because of the delay in releasing and went on to be the biggest hit of the first half of the 1950’s. With the failure (not to the standards of Cary Grant of 1940’s) of many of his movies in early 50’s, Cary Grant had decided to retire himself from the movies. With his age being 50, he felt the movie industry had moved on with the emergence of youth like Marlon Brando and Montgomery Clift. He spent some good time with his wife Betsy Drake, who was half his age before making a comeback when he heard the script of ‘To Catch a Thief’. Much to the displeasure of Betsy Drake, he went ahead and started shooting this movie at the French Riviera. Betsy Drake accompanied him to the shoot, as she was less than thrilled of him doing love scenes with Grace Kelly. This movie mirrors Cary Grant’s real life in many aspects. In the film, the so-called cat burglar insists he is retired, moved on something which the police authorities have troubles believing in and took the role of a thief to catch the real thief. In real-life, Cary Grant had previously announced his retirement from films twice and yet he was out there shooting for this movie. In the movie, Robie is attracted to a beautiful blonde who is half his age, in real life he was married to a beautiful blonde, Betsy Drake who was half his age. In the film, Robie in order to prove his innocence participated in one last robbery to prove his innocence and in real life, he came out of retirement to make one last movie to prove he was still the star of the highest order. 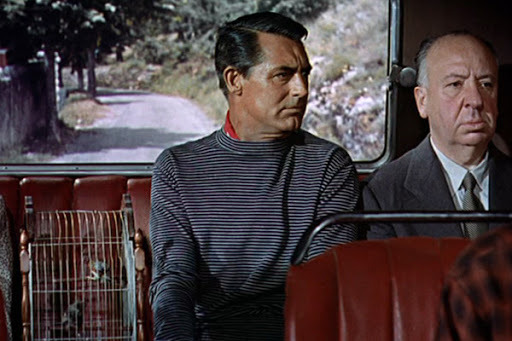 In his usual style of making cameos, the director Alfred Hitchcock about 10 minutes into the movie is seen sitting next to John Robie in a bus. The movie was nominated for four Oscars (Best Cinematography Colour, Best Art Direction, Best Set Decoration Colour and Best Costume Design Colour) and won a single Oscar for Best Cinematography Colour (Robert Burks). Produced by Paramount Pictures, the story for the movie was inspired by the David Dodge’s novel of the same name. 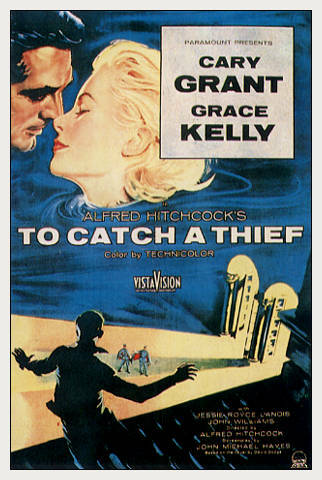 Set in the picturesque French Riviera, this was the last Grace Kelly movie for Alfred Hitchcock (previous being, Dial M for Murder and Rear Window). She later married Prince Rainier of Monaco and became Princess of Monaco till her death in 1982 due to a car accident. 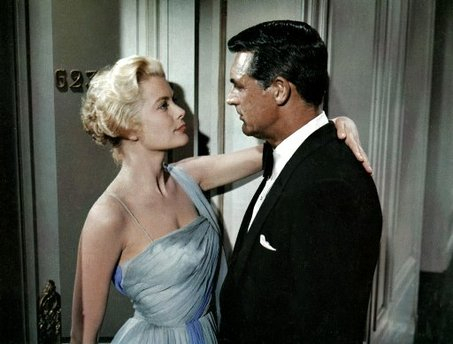 Released in 1955, To Catch a Thief was a sort of ‘comeback’ movie for Cary Grant who went on to act for few more years till he finally retired in 1966 at the age of sixty-two.